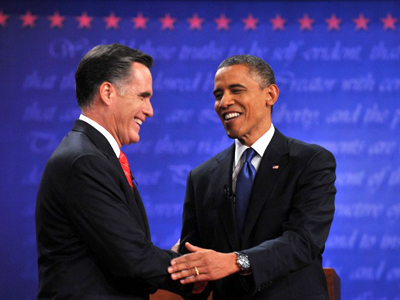 President Barack Obama and Governor Mitt Romney met in their first presidential debate on Wednesday, exchanging the same arguments and accusations they had before. 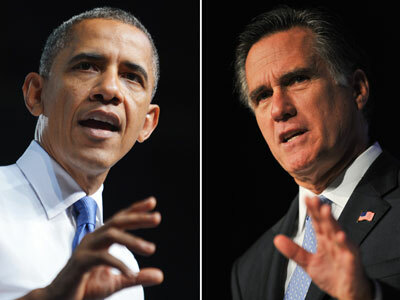 The tepid debate stressed the lack of choice the Americans are facing, analysts say. ­The debate centered on domestic issues, as both candidates basically repeated their election platforms and slogans while discussing jobs, the economy, and healthcare. 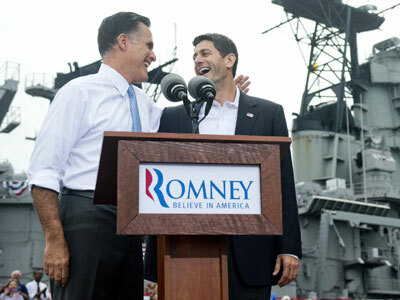 The Romney camp was thrilled with their performance, as liberals blasted Obama for being underwhelming. Romney's campaign spokesman claimed that Governor Romney had won so clearly that “if this was a boxing match, the referee would have stopped it." Obama analysts, for their part, while lamenting the missed opportunity to essentially stop the Romney campaign cold, also pointed out that Obama did not leave any weak spots to be attacked. However, many Americans may well be confused as to what exactly the differences are between the two candidates, as the overlap of ideas between America’s two dominant political parties has reached a fever-pitch in recent elections cycles. Obama and Romney have sparred publicly over one of the keystones of the 44th president’s administration: universal healthcare, or as it now more commonly known, “Obamacare”. 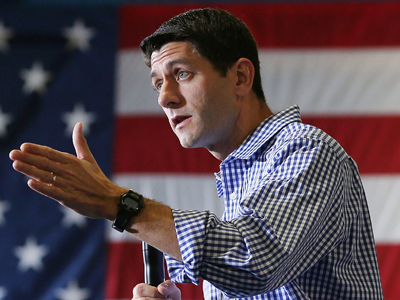 Romney has stated time and again that he will repeal “Obamacare”, and that the centerpiece of the plan, “the individual mandate” that requires every American to purchase health care or suffer increasing tax penalties, places an unfair burden on the middle class. But voters get confused when they are reminded that the idea of the individual mandate has already been used – by Romney himself. 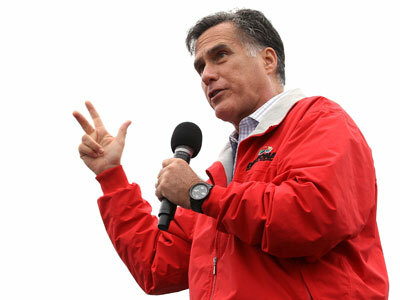 As governor of Massachusetts, Romney introduced the Massachusetts Health Reform Law in 2006. “Romneycare” in many ways served as the de facto model for Obama’s Patient Protection and Affordable Care Act (aka Obamacare), and required all Massachusetts residents to buy health insurance coverage or face escalating tax penalties. That is, the mandate that Romney now calls unconstitutional was, in fact, championed by Romney himself six years ago. That Obama adopted a Republican idea might reasonably anger many on the left. That the individual mandate is viewed by those on the right as the scourge of socialism proves how short American attention spans are and how broken the political system may actually be. When talking about reducing the deficit and creating jobs in America, both candidates, overtly or otherwise, took aim at China, as if both understood the need to look tough against the world economic giant. “You said you get a deduction for taking a plant overseas? 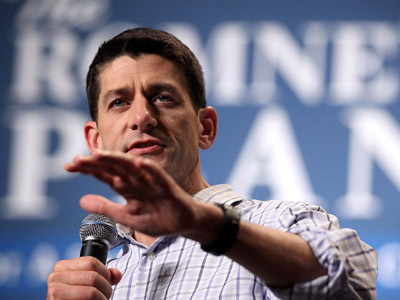 Look, I’ve been in business for 25 years; I have no idea what you’re talking about,” Romney retorted minutes later. “Maybe I need to get a new accountant, but the idea that you get a break for shipping jobs overseas is simply not the case,” as if to imply the strange idea that transferring factory jobs to countries with cheaper labor would in no way affect a company’s bottom line. And there are other examples that have left voters scratching their heads, trying to figure out who’s on the left and who’s on the right. In 2008, Republican Senator and former POW John McCain regularly lambasted then-Democratic contender and presidential hopeful Obama for being weak on national defense. But from the death of Osama Bin Laden to the ever-expanding drone war and NDAA, Obama has proven to be on par with several hawkish Republicans when it comes to keeping the country safe. Obama even presided over a massive troop surge in Afghanistan while simultaneously executing an exit-strategy in Iraq. Liberal commentator Rachel Maddow said on her eponymous show last month that there is a “responsible debate to be had here over the longest war in American history." With some 70 per cent of Americans saying the US should immediately withdraw Afghanistan, Maddow has a point, but there is no longer a party representing it. 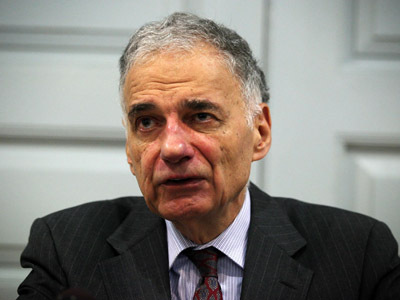 Perennial outsider and long-suffering third-party political candidate Ralph Nader has consistently argued that the current two-party system in America effectively presents the one agenda, providing no alternative for Americans. 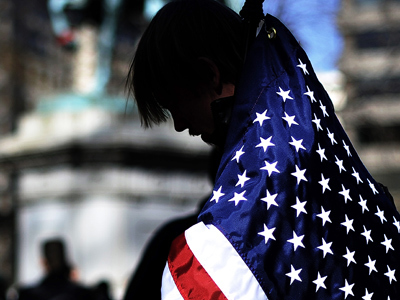 From single-payer healthcare to a living wage, renegotiating NAFTA to imperialism, poverty and special tax breaks for corporations, Nader says the major beliefs of America remain chronically unrepresented by America’s political system. “That’s the conundrum. A minority party fostering a majority agenda. The reason is that the two-party duopoly has every conceivable way to exclude and depress and harass a third party. Whether it’s ballot access. Whether it’s harassing petitioners on the street. Whether it’s excluding them from debates. Whether it’s not polling them. And with a two-party, winner-take-all electoral system, it’s easy to enforce all those. Unlike multi-party Western countries where you have proportional representation, the voters [in America] know that if you get 10 per cent of the vote, you don’t get anything. Whereas in Germany, you get 10 per cent of the parliament. So [German] voters say, ‘Let’s just vote for the least worst,’” he told Time Magazine in June. Author and historian Gerald Horne believes that none of the sides is a perfect choice as the American voters are short on alternatives. “What happens in the United States is that all the candidates of the left, such as the Green Party, are barred from this kind of presidential debate,” he told RT. Both sides in the debate raised the issue of China in connection with America’s economic problems.